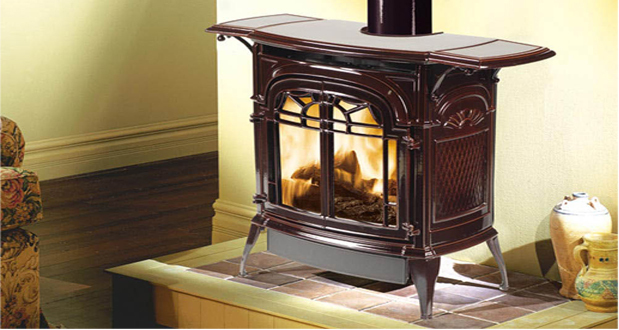 Maximum EfficiencyNo heat lost — With no flue for hot air to escape through, vent free cast iron stoves from Vermont Castings provide an energy-efficient solution to your home heating needs. Reduced ClearancesFlexible installation options — Now you can enjoy the warmth of a gas stove even in smaller rooms and spaces. Vent free design requires less “clear space” between the stove and your walls and floors. 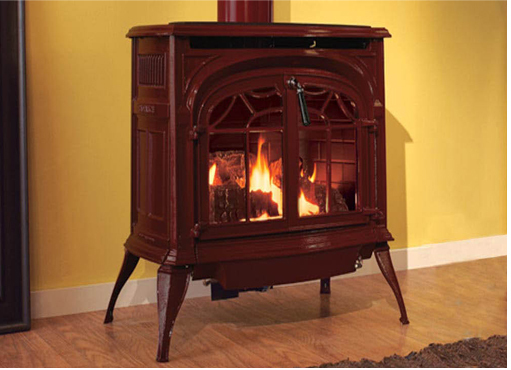 Durable Cast Iron ConstructionLong-lasting quality — Made from high quality cast iron that’s 100% recycled, Radiance® vent free gas stoves are built to provide dependable heating throughout their years of service. Proudly Made In VermontSignature Vermont Castings style — The tradition of quality cast iron lives on in these vent-free gas stoves, which feature the unique detailing and solid construction that Vermont Castings is known for. Operable Front DoorsOpen-door viewing — Simply swing open the two front doors for an unobstructed look at the Radiance® stove’s realistic gas flames. 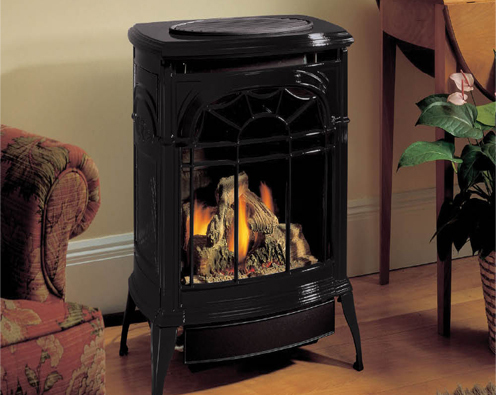 Durable Cast Iron ConstructionLong-lasting quality — Made from high quality cast iron that’s 100% recycled, Stardance® vent free gas stoves are built to provide dependable heating throughout their years of service. Operable Front DoorsOpen-door viewing — Simply swing open the two front doors for an unobstructed look at the Stardance® stove’s realistic gas flames. SIT Total System ControlControls at your fingertips — Adjust both fan and flame levels with one convenient handheld remote. The Total System Control module also offers thermal shutdown and a childproof lock. Variable Speed FanMaintain even, precise temperatures — The stove’s blower fan offers three speed settings to help you evenly distribute hot air throughout your room. 4-Piece Split Oak Log SetAuthentic look — The Radiance® direct vent stove features a remarkably realistic 4-piece Split Oak log set. The added level of detail brings rustic warmth and charm to your décor. 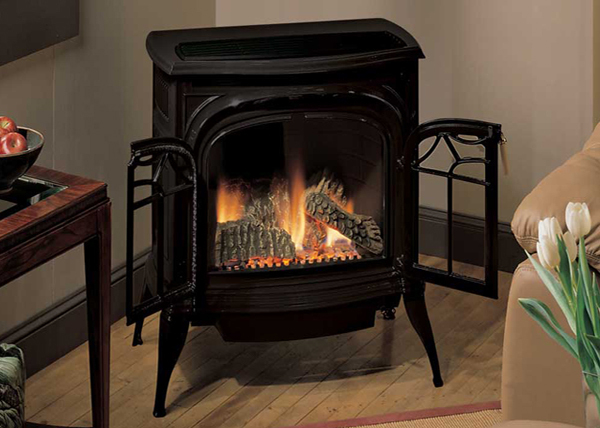 Proudly Made In VermontSignature Vermont Castings style — The tradition of quality cast iron lives on in these direct vent gas stoves, which feature the unique detailing and solid construction that Vermont Castings is known for. Reduced ClearancesFlexible installation options — These direct vent gas stoves offer simple venting options that require less clearance, so they are perfect for smaller spaces. Increased EfficiencyMaximize savings — Our most efficient direct vent stove delivers quality home heating while saving you money on fuel costs.